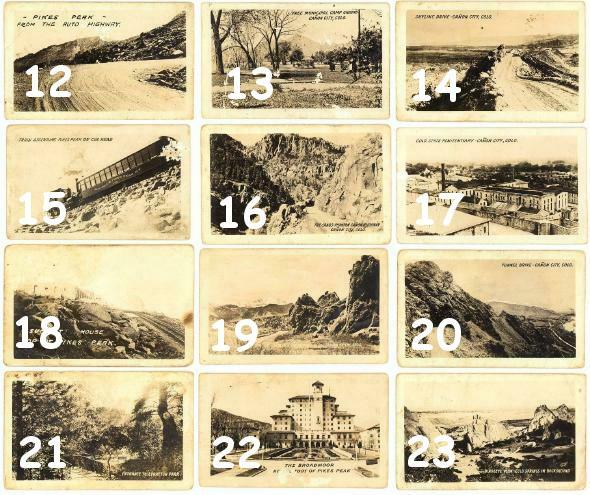 23 miniature photos of scenes in Colorado. 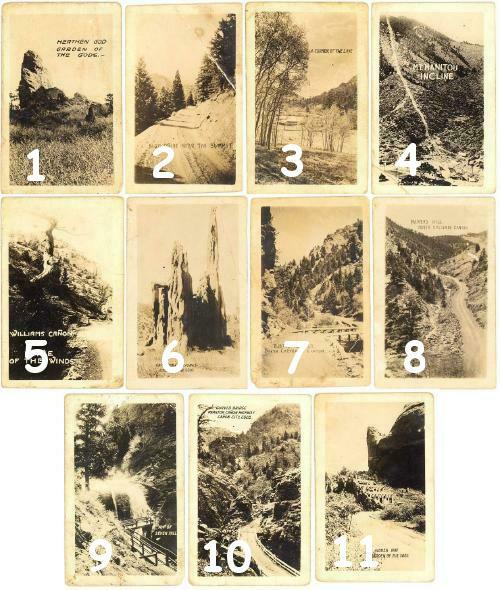 None are dated, but appear to be from in the 1920s or 1930s. Each photo measures approximately 1-3/4" x 2-3/4". They show varying degrees of wear with creasing and chipping on a few. The flaws show on the images, but please inquire if more specific detail is needed.